In 2009, CollegeMobile developed Mobilversity, a campus mobile application that provides value for students (current, prospective or alumni). Mobilversity differs from most university mobile apps as it is a multi-tier software framework; It supports all major smartphone and tablet operating systems (Android, iOS and BlackBerry), and integrates with all major backend educational software systems (such as SunGardHE, Desire2Learn, and Moodle). Since the initial launch of the University of Saskatchewan’s iUsask mobile app, CollegeMobile has discovered three valuable features for your institution, teachers, and students. For the next two weeks, we will release a new blog on each valuable feature. Providing students with access to their grades has been the top feature since the creation of iUsask back in 2009. Post-secondary students expect their grades as soon as possible. As recent graduates ourselves, we understand how inconvenient it can be for students to find a campus computer to look up their grade on systems such as Luminis or Moodle. Sometimes students have to wait until they get home, especially if they’re on the bus. Mobilversity helps students keep track of their grades. By accessing their school’s app from their smartphone, they can check their grades wherever they want, whenever they want (except in class, of course!). This consequently gives students more time to focus on the next task. Being able to retrieve grades on their smartphone often draws students to the app immediately after midterms and finals, repeatedly. Students continuously checking the app for updates, means the student body will be more efficient and better informed. While checking grades, students may also start clicking around to news feeds, which are automatically upgraded every time the student enters the app. Your instructors will find that this feature provides convenience. 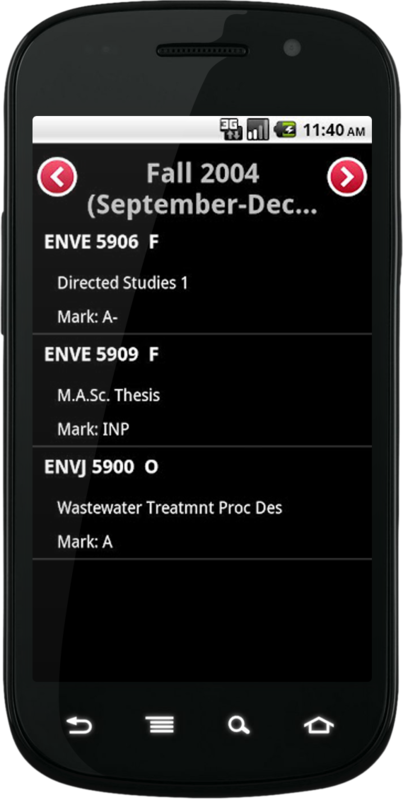 They only have to update grades once and their students can view it on their smartphone. This might mean students can’t bug them to send the grades sooner! The second most valuable feature will be released in one week. Come back then for more!